An economy simulator focused on managing a city throughout two centuries, starting in 1820. It was developed by Fragment Productions, the creators of the Rescue series. 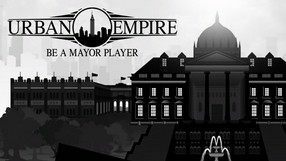 In Urban Empire, we control an entire family from which the subsequent mayors of the city originate, and our tasks include developing the infrastructure and new districts, driving the economic growth, and ensuring our citizens’ satisfaction. The gameplay is richer thanks to the fact that, as decades pass, both the technology and the geopolitical situation change, constantly providing us with new challenges. Another interesting feature is the “unofficial” part of being a mayor — we can resort to various political and personal games as well as corrupting and blackmailing unfriendly persons. 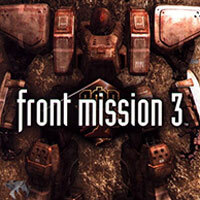 The third installment in the complex turn-based economical strategy game series developed since 2005 by Positech Games. 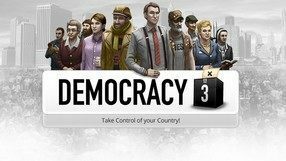 Democracy 3 again puts you in the role of the leader of a fictional democratic country and tasks you with making a number of decisions that will let you satisfy the many conflicting expectations of the virtual society so that you can stay in power. The gameplay features a complex socio-economical simulation system, according to which every choice you make takes its toll on your country and its society. 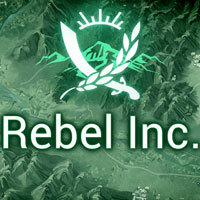 The mechanics of the game are similar to those known from the previous installments, while the changes introduced by the developers include such aspects as the private sector's influence on the society, and the presence of real-life problems and events (e.g. climate change, financial crisis). The graphics have vastly improved, although the gameplay is still mostly based on charts, statistics, and so on. 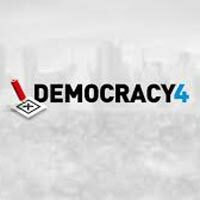 Democracy 4 is an elaborate strategy in which we take control of a fictitious democratic state. The game offers a complex simulation of social and economic processes and reflects contemporary problems, such as fax news and manipulations using social networking sites. 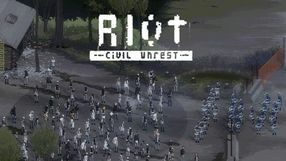 A riot simulation strategy game. Riot is the debut production from Stimunation, an Italian studio whose lead designer is a former cutscene producer at Valve. The action of Riot takes place in modern times. The society is forced to resort to mass rioting because of an economic crisis. The developers prepared an extensive campaign that lets us take part in the most famous riots of the recent years either as the protesting crowd or the police that try to restore order. The game also features a hot-seat multiplayer mode. What’s important, Riot doesn’t make fun of its subject but tries to present its essence. To faithfully recreate the reasons and the course of various riots, the developers interviewed people that participated in them on both sides. Virtual protests are shown in attractive pixel-art graphics that brings the visuals of Superbrothers: Sword & Sworcery EP to mind. The third installment of the cycle of complex economic strategies, developed by EverSim studio. Players take on the role of country leaders again and their task is to lead the economy and internal politics, to conduct international activities, to resolve armed conflicts, etc. They are also responsible for the management of the country's economy and internal politics. The production is distinguished by complex gameplay mechanisms, covering many aspects of power in today's world. The first installment in the tactical jRPG originally released on PlayStation 2 and PlayStation Portable. After a decade, an improved port has finally made its way to PC. 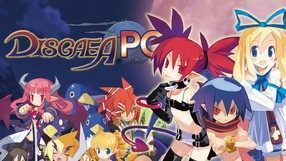 In Disgaea PC you assume the role of a demon prince named Laharl, who having awakened from two-years’ sleep learns about the death of his father. As his successor, he decides to regain the throne and his subjects’ trust by setting out on a dangerous journey during which he will meet many allies and foes. The campaign is divided into episodes resembling a typical anime TV series. During the game you will spend most of the time fighting on tiled maps. You have a diversity of units under your command, offering different attack combinations, spells, combos, and special abilities that, just like in any classic RPG, can be further developed during the course of the game. 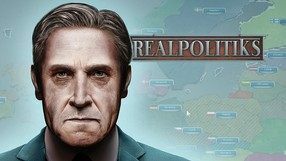 Rulers of Nations: Geo-Political Simulator 2 is a continuation of Eversim's extensive strategy. Players have the opportunity to take on the role of the leader of one of the world's powers and lead the fate of the world. The creators of the game made sure that there was no shortage of political, social, economic and military challenges. 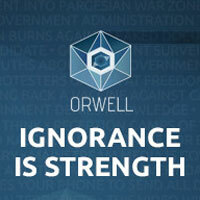 An unusual adventure simulator inspired by political thrillers and real-world situations - Orwell: Ignorance is Strength allows the players to assume the role of a government official working on a top-secret wiretap program. The game is a sequel to the well-received 2016 Orwell: Keeping an Eye on You. An unconventional action game developed by the American iNKstories studio, focused on The Iranian Revolution - the events of 1979 that led to the overthrow of the dictatorial regime of Shah Mohammad Reza Pahlavi in Iran. 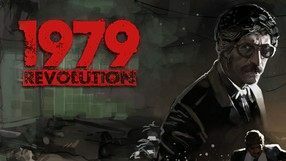 1979 Revolution is set in an open-world environment, reminiscent of subsequent installments in the Grand Theft Auto series. During the game we are given a chance to play as several independent characters, and it was the intention of the developer to present historical events from several contrasting points of view and to show moral controversy concerning the ongoing revolution. Depending on which character we control at the moment, the game features slightly different mechanics. This is due to the fact that some protagonists led by us specialize in combat, while others have to rely on negotiation skills, stealth, or even trade. An extensive political simulator, in which we make a number of complicated decisions. The game is divided into three game modes. In the first of these, we must remain in power for as long as possible. The second one, i.e. scenarios, presents specific situations. Wargame, the last mode, is designed for multiplayer matches and is a real-time strategy. 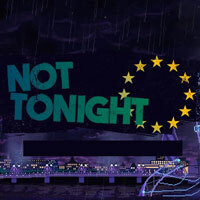 An adventure game set in the grim vision of post-Brexit Great Britain. We play as a European who waits for deportation from The British Islands while trying to earn for living as a bouncer in clubs and on festivals. 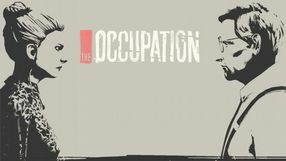 A three-dimensional adventure game telling the story of a British spy who sets off on a secret mission to Eastern Europe and follows an international conspiracy. In Cold Blood is the work of Revolution Software studio. Economic War is an economic strategy produced and published by Monte Cristo Multimedia. The player takes on the role of an ambitious head of government of one of the countries and tries to build a world superpower with different methods. The authors prepared eight different scenarios covering the period from 1950 to 2050. 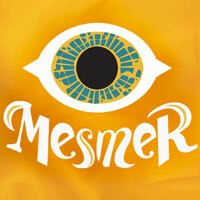 An unusual strategy game in which we play the leader of one of the five factions operating in the city of Pardam, the capital of Mesmer. Under the reign of the new king, the metropolis was unequal, so we must somehow solve this problem. A turn-based strategy game based on the popular Risk board from Hasbro, named after Tom Clancy. 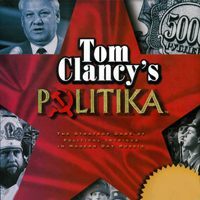 The action of the game takes place in 1997 in Russia, where not after the sudden death of President Yeltsin eight competing factions begin a murderous rivalry for taking over power in the state. 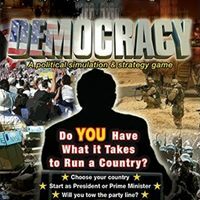 A turn-based strategy game in which we play the role of president or prime minister of a fictitious democratic country, which belongs to the category of political simulators. By taking a number of decisions in seven key aspects of the functioning of the state, we try to meet the expectations of many different political parties, as well as social and professional groups. Tactical Japanese RPG, in which players lead a team of two-legged robotic pilots, vanzers. Production is considered to be one of the best in the history of the species. A standalone expansion to the third installment in the Democracy series, which debuted in 2013 through the efforts of Positech Games, the studio that developed previous entries in the franchise. 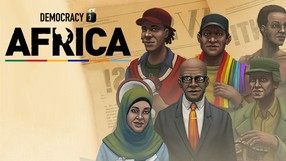 Unlike the main games, Democracy 3: Africa takes us to Africa, where we take the role of a leader of one of ten countries, facing completely new challenges due to different nature of living in that region. A turn-based gameplay, where we make decisions that have a major impact on our country and its society, using a massive amount of tables, schemes, and graphs. We have to cope with problems like poverty, hunger, corruption, and providing access to drinking water, education, and health service. Quite often we get support from developed countries, which provide help with resources or investments. Another edition of a popular strategy game developed by Stardock. As usual, the game was released right before the upcoming presidential elections in the USA. The game is all about taking part in the political race to the White House. The player takes control of a candidate (one of fifteen available), choosing from among such figures as Donald Trump, Hilary Clinton, or Bernie Sanders. The player can create an original candidate as well. 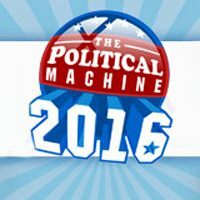 The gameplay in The Political Machine 2016 brings no changes to the mechanics of the previous installments. The player's task is to carry out an electoral campaign in order to convince as many voters as possible that the player's candidate is the best choice. To do that, the player has to travel across the country and participate in meetings with the voters. The player takes part in public debates as well, presenting their viewpoint on the matters the American society is most interested in. Besides, the player has to raise funds and manage their public image. Continuation of an extremely complex strategy game. Once again we play the role of the leader of a fictitious state. We strive to win every election. The second part of the Japanese RPG series, which is distinguished by the number of available heroes to join and a difficult story, touching on the problems of slavery and tyranny, among others. 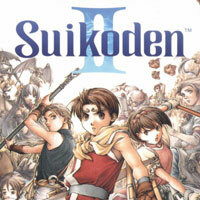 Suicoden II is considered to be one of the best representatives of the species of all time. 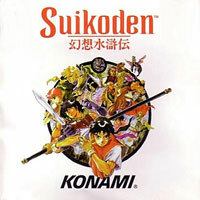 Japanese RPG created by Konami, in which characteristic mechanics of the genre have been mixed with innovative elements. The production tells the story of a young boy who, as a result of a coincidence, joins the rebels and soon becomes the leader of forces that can liberate the empire from the hands of tyrants.